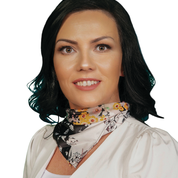 Sharon was co-opted as a Member of Waterford City and County Council in November 2018, after the untimely passing of her father, Cllr. John Carey, who was the longest-serving member of Waterford City and County Council. She is married to former county hurler, Eoin Kelly and is a proud mother of four young children. She has been an active member of Fine Gael since 1999 and is on the board of the Waterford Sports Partnership.